When Revealed: Each player discards the top 3 cards of his deck. Until the end of the round, add 2 to the total in the staging area for each different card type discarded this way. 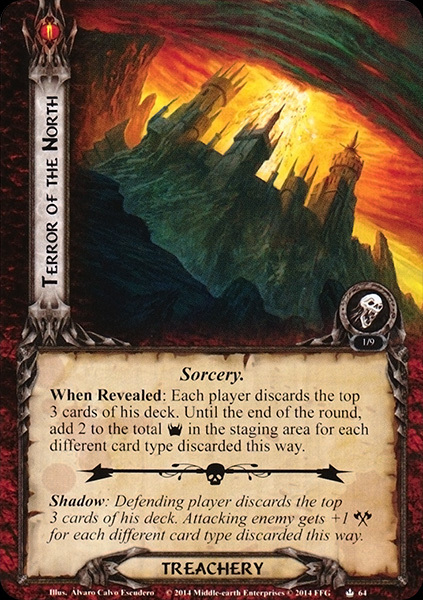 Shadow: Defending player discards the top 3 cards of his deck. Attacking enemy gets +1 for each different card type discarded this way.